Bouncy Harvey reunited with his relieved owner-a happy Agria insurance customer! At LAST Harley's long-suffering owner managed to capture him (almost!) static enough to have his portrait taken! As a lively bouncy puppy this proved a very difficult job! We are delighted that another treasured dog has been returned safely with the help of Pet 24. Here's wishing Harley a long, happy and no doubt, bouncy life! Many thanks to Pixie's owner for sending in such adorable photos! Her little 'adventure away from home' led her towards another member of the family's house...unaccompanied! Luckily the finder rang the Pet 24 number on her collar tag and she was reunited quickly with her owners. As you can see-back home, safe and sound and much-loved! I was out running with Indie in our local woods when I noticed that she was no longer following me. 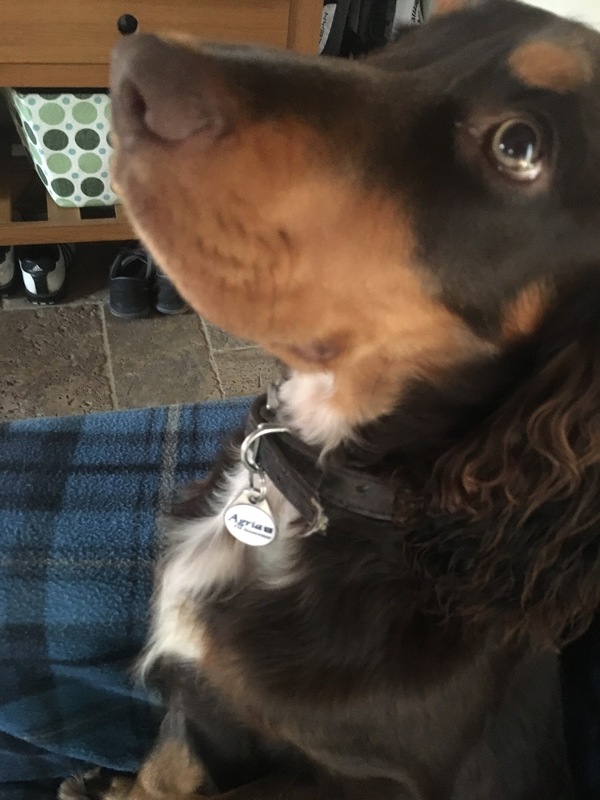 I grew increasingly frantic as I couldn't find her however I received a phone call from Pet 24 to say that she had been found by another dog owner. I was really impressed by the speed in which the calls were transmitted to me. Luckily Indie had found some other dogs to play with and hadn't come to any harm but I was amazed at how quickly she had escaped me as my back was turned for such a short time. 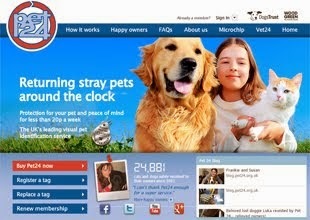 I would really recommend Pet 24 as a back up to microchipping for reassurance and its speedy service. Thank you!